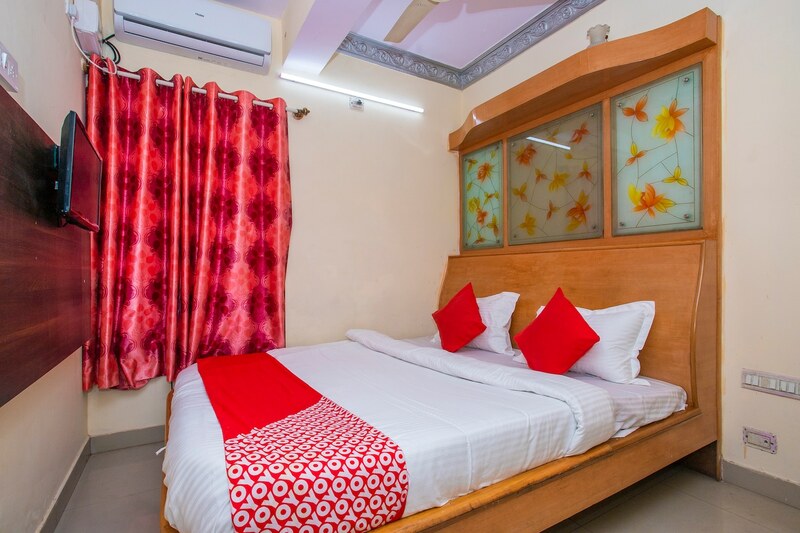 Located opposite the Ramaiah Hospital in Bangalore, the New Aishwarya Comforts hotel is compact and comfortable, providing a homely stay for guests. The interiors of the hotel are a combination of different shades of brown coloured tiles, walls and wood furnishings. The rooms are eye-catching with the glass paintings attached high up against the headboard of the bed and minimal furniture. With flower printed curtains and light coloured walls, the bedroom becomes vibrant and inviting to the guest. The other amenities supplied by New Aishwarya Comforts to its guests are free WiFi connectivity, elevator facility, power backup, card payment options and the security of CCTV cameras.